Following her bestselling The Architect of Desire, Suzannah Lessard returns with a remarkable book, a work of relentless curiosity and a graceful mixture of observation and philosophy. This intriguing hybrid will remind some of W. G. Sebald's work and others of Rebecca Solnit's, but it is Lessard's singular talent to combine this profound book-length mosaic--a blend of historical travelogue, reportorial probing, philosophical meditation, and prose poem--into a work of unique genius, as she describes and reimagines our landscapes. 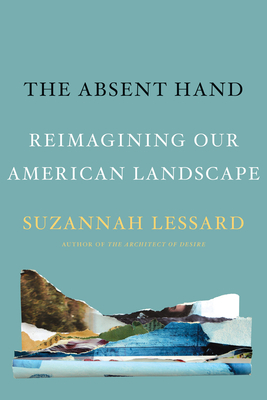 In this exploration of our surroundings, The Absent Hand contends that to reimagine landscape is a form of cultural reinvention. This engrossing work of literary nonfiction is a deep dive into our surroundings--cities, countryside, and sprawl--exploring change in the meaning of place and reimagining the world in a time of transition. Whether it be climate change altering the meaning of nature, or digital communications altering the nature of work, the effects of global enclosure on the meaning of place are panoramic, infiltrative, inescapable. No one will finish this book, this journey, without having their ideas of living and settling in their surroundings profoundly enriched.